The prinnies are back again, dood. Nippon Ichi Software, and their American branch NISA, have seemingly found a new audience on Steam for their classic SRPG franchises. The last year has seen them release both the original Disgaea and Phantom Brave, two classic SRPG titles originally published on the PlayStation 2. 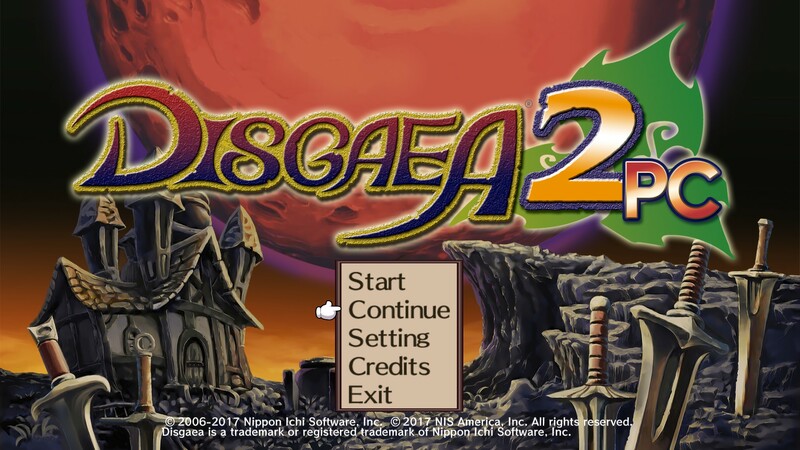 Now they have released the sequel, Disgaea 2 PC, and like its predecessor it serves as a combination of the content released in the previous versions of the game. There weren’t quite as many different versions of this game as there were with both Disgaea and Phantom Brave, but there was originally both a PlayStation 2 game and then a PlayStation Portable version with some new content. In addition, we are getting three new playable characters that were never released outside of Japan on the PlayStation Portable version of the game; Dark Eclair, Gig, and Miabel. 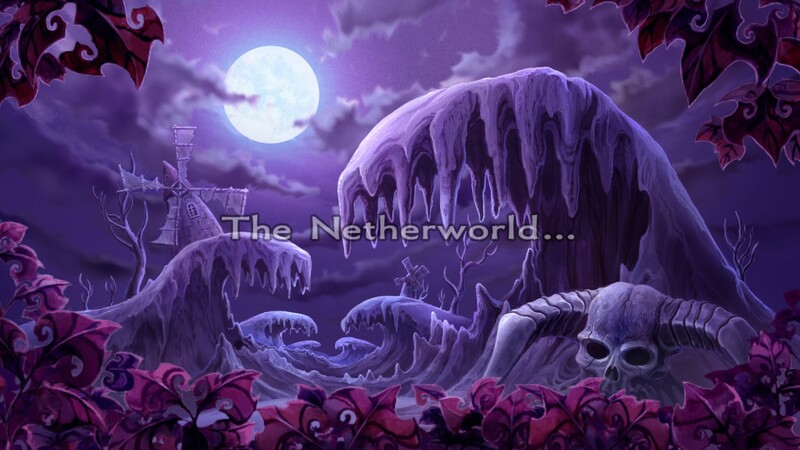 Back in the Netherworld again. They do seem to get up to a lot of trouble. Four years ago our very own Steve Baltimore reviewed the original version of this game, but there are enough differences in the game that this doesn’t really qualify as a re-review. This game bears much more resemblance to the PSP release, along with some very nice PC-exclusive features. So like the other ports that I’ve reviewed, I’ll spend a short time talking about the game itself and my impressions of it before I dive into the quality of the port itself and the new features. Also pertinent to this discussion is the slightly controversial port of the original Disgaea to PC last year, which was not exactly very smooth. Many people experienced a variety of issues running that game, and there were some quality concerns with the port itself. However, by the time NIS released Phantom Brave later in the year, those issues seemed to be largely resolved. If anything, this port seems to be slightly better than the Phantom Brave PC release, so I really admire that NIS seem to be getting better at this as they get more experience with the platform. Disgaea 2 featured quite a different cast of characters from the first game, particularly the two leads. From memory, clear back in 2006, Disgaea 2 did not exactly set the world on fire like the original Disgaea did. There was a slow build up to the first game being popular, but once it was it really lit a fire in certain niche gaming fans. There were really two reasons for that. One was because of the really amazing, deep mechanics of the game, but that would have only gotten the game so much notoriety. The second reason was the primary cause of its popularity, and that was its amazing and quirky cast of characters. The first game was surprisingly hilarious and totally owned its ridiculous premise. So when it was announced that the sequel would not feature that same cast (other than one notable exception), that news was received with some lackluster enthusiasm. To make matters worse, when the game actually arrived it was highly noticeable that there was a distinct change in tone. There was still a lot of humor in the game, but there was a lot more serious storytelling than there was in the first one. It is interesting to note that if you look at the series as a whole now, this title actually is more in line with what the series would become than what the first game was. Adell’s “noble” mission is to save his family, whether they want to be saved or not. 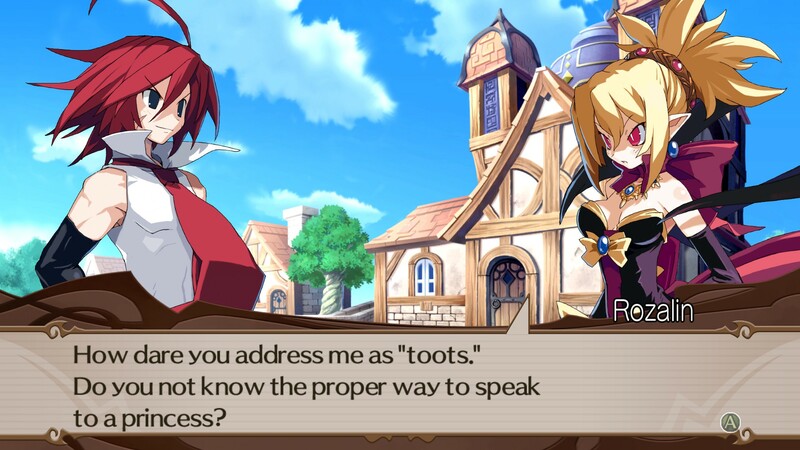 Adell and Rozalin are the two main characters, and even though there is a massive array of side characters, the story largely revolves around them. Adell is trying to save his family and village, who are slowly being turned into monsters by the great Overlord Zenon. For some reason the curse did not work on Adell himself, so he is the only human left in their part of the world. 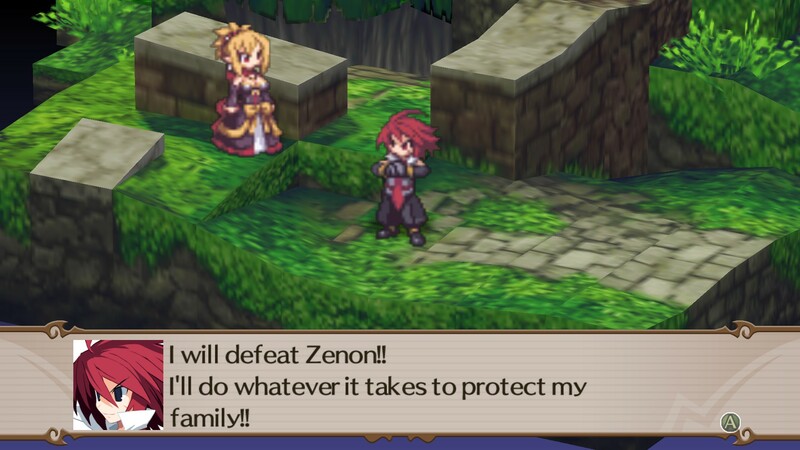 In an effort to help her son achieve his goal (mostly), his mother tried to summon Zenon to the village for Adell to fight, but instead the spoiled daughter of Zenon showed up, Rozalin. If you pay attention to the summoning it gives away the major spoiler for the entire game, but regardless you are going to notice pretty early on that Roz is not all that she seems to be, or even knows about herself. The story turns into a journey of self-discovery for both the hero and heroine and, ultimately, a love story. That seemed to put off a lot of the fans at the time, but frankly I was always in the minority camp that actually loved this game more than the first one. Both still have a fond and valued place in my gaming memory, but after replaying them both on PC my certainty of that position is even more firm. The added mechanics (most of which remained throughout the series) and the story both make for a better game overall and moved the series into an even better position than it started.